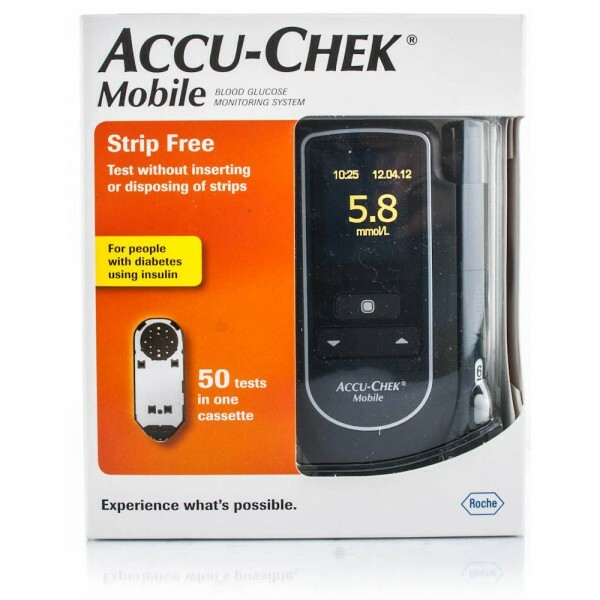 Accu-Chek Mobile Blood Glucose Meter System is a strip free Accu-Chek mobile meter system. Test without inserting or disposing of strips. Theres no coding to worry about and automated testing reduces steps and greatly simplifies blood glucose monitoring. There are no single test strips to handle which is less hassle for you. 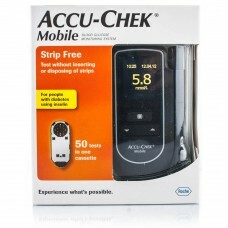 Only the Accu-Chek Mobile system combines a test cassette with 50 tests and a finger pricker with a 6 lancet drum.